In the wine, beer, and whiskey world, barrels get a lot of attention. 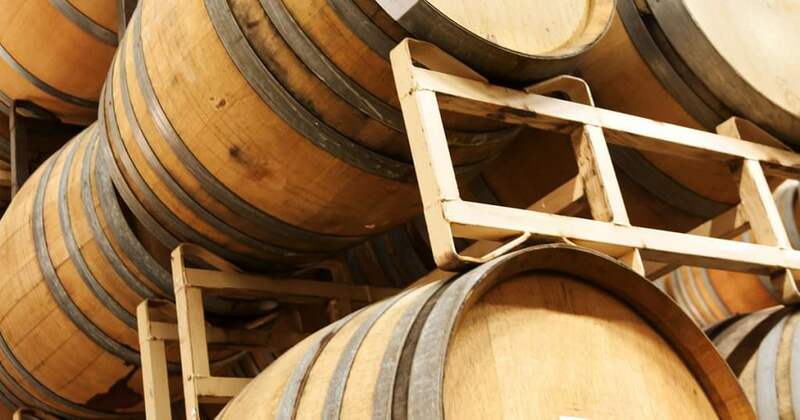 They are considered to be so important to the brewing , winemaking, and distilling processes that they are considered an ingredient, but barrel racks are often an afterthought. This is understandable as barrel racks have no direct influence on how the final product will taste, but they do impact the overall barrel aging program. The type and quality of the barrel rack really matters! Choosing the right rack can help maximize warehouse space, offer stability, and make your product accessible throughout the winemaking, brewing or distilling process. It is especially important to consider these factors when shopping for used barrel racks. With that in mind, here are a few tips that may help you get the best possible used racks for your facility. Obviously the stability of wine and whiskey barrel racks is important, because any tipping can lead to breakage which is really expensive even if you only lose one rack of barrels. The Napa earthquake of 2014 is the most extreme example of this fact. Millions of dollars in wine and wine barrels were lost during the earthquake. Its also the reason that the 4 barrel style racks are growing in popularity over two barrel racks. 4 barrel racks are more stable than 2 barrel racks due to their wider size and extra weight, so we recommend the use of 4 barrel racks in earthquake prone regions like California. However another great option is to go with a low profile rack. These being less top heavy not only offer stability, but also allow you to stack higher if your warehouse has low ceilings. The good news is low profile racks come in both the 2 & 4 barrel styles. There is one thing to consider though. With low profile racks there isn’t a whole lot of space between the barrels. This is ideal when maximizing space is a priority, but not so ideal if your a winemaker who must regularly access the wine to taste, and smell the product. With that said if you have to a monitor your product closely standard height racks are the way to go. Most barrel racks are made of powder coated, mild steel, because it is strong and fairly rust resistant, but it is not rust proof. Eventually corrosion sets in, and if it gets bad enough it may jeopardize the load bearing capability of your racks, so it is important when shopping for barrel racks to make sure you get racks with minimal rust. If you happen to find a really good deal on some more rustic racks consider stacking the barrels no more than 4 high. Over time in a humid cellar type of setting rust will settle in. Some of the industry leaders have simply opted to remove from production any rack that is more than 15-20 years old. Another option although expensive is to go stainless. Stainless steel racks may cost more, but hold up very well over the long haul. There are several factors that affect the durability of a used wine barrel rack that include: corrosion level, powder coating quality, steel type and steel thickness. Oh, and you should never accept a used rack that is bent whatsoever to hold your wine or whiskey barrels. Suppliers should know this, and go out of there way to provide only racks that are straight with no bending. On another note historically 12 gauge steel has been the standard, but recently Country Connection has introduced 16 gauge steel racks as a great alternative for those who want maximum durability. The beauty of it all is it doesn’t affect the cost of the rack. Due to the fact that the 16 gauge steel racks are relatively new it is currently difficult to find them used, but that will change over time. If you decide that you would prefer to not buy used racks then new is probably the way to go. They offer a longer life span, and with freshly powder coated mild steel they look amazing. There are typically more customized options available with new as well.